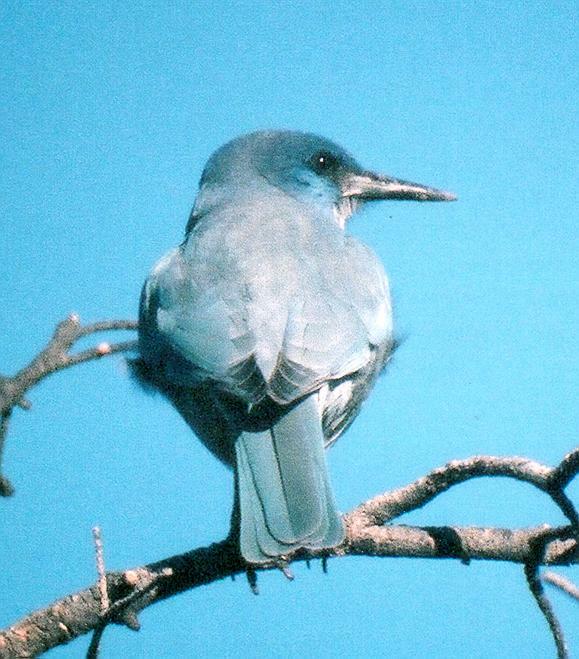 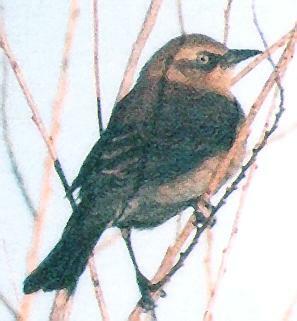 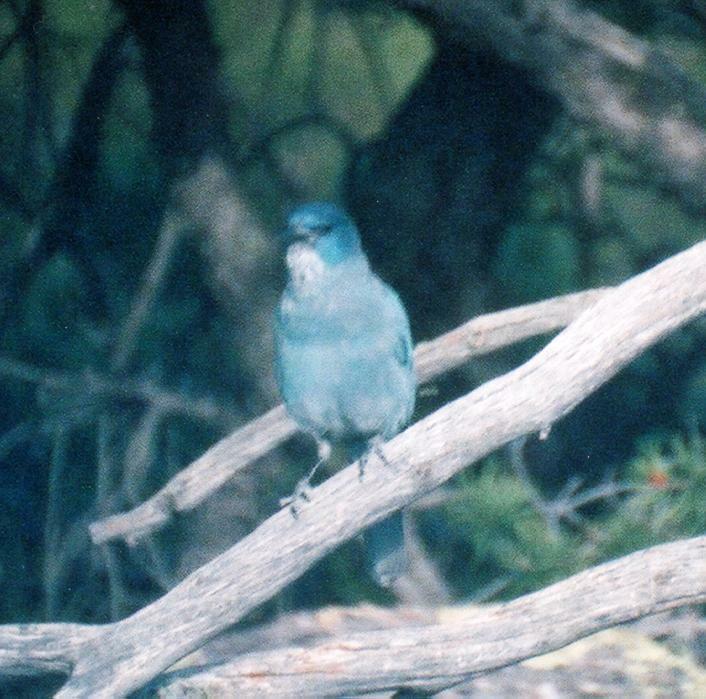 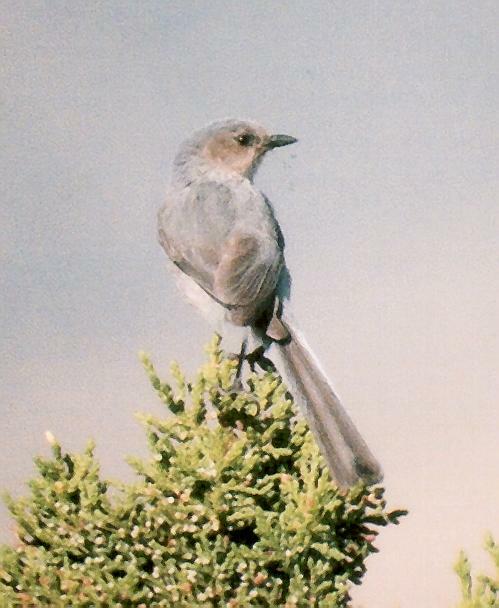 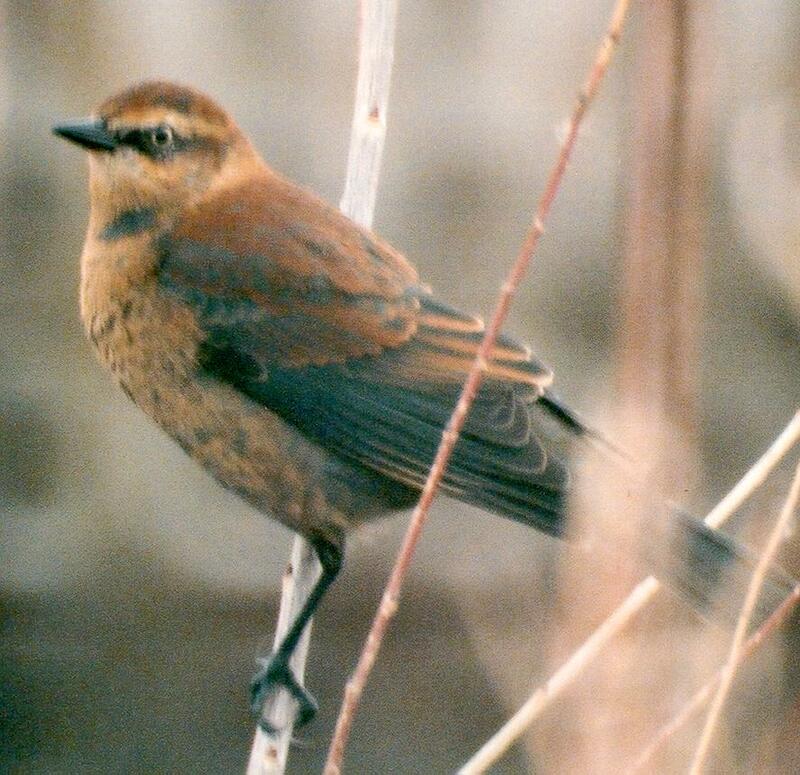 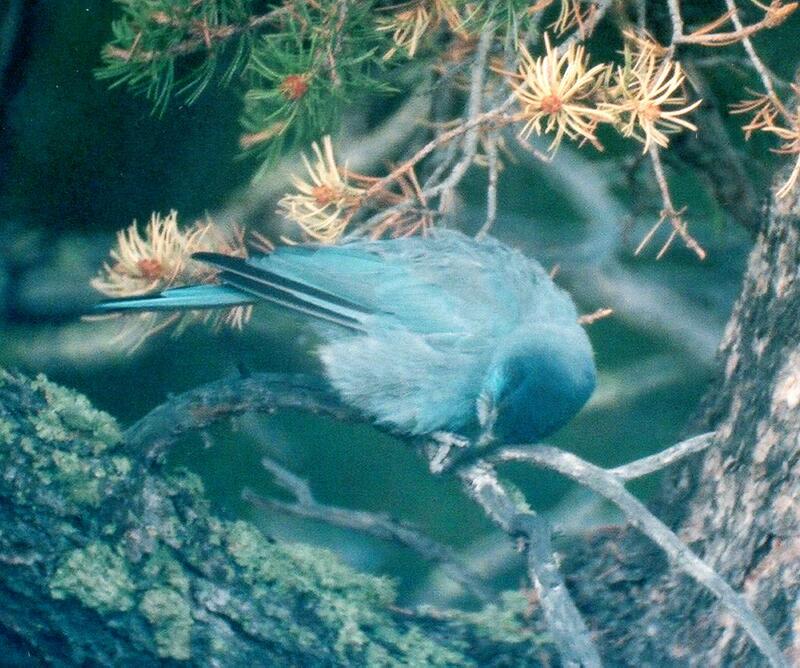 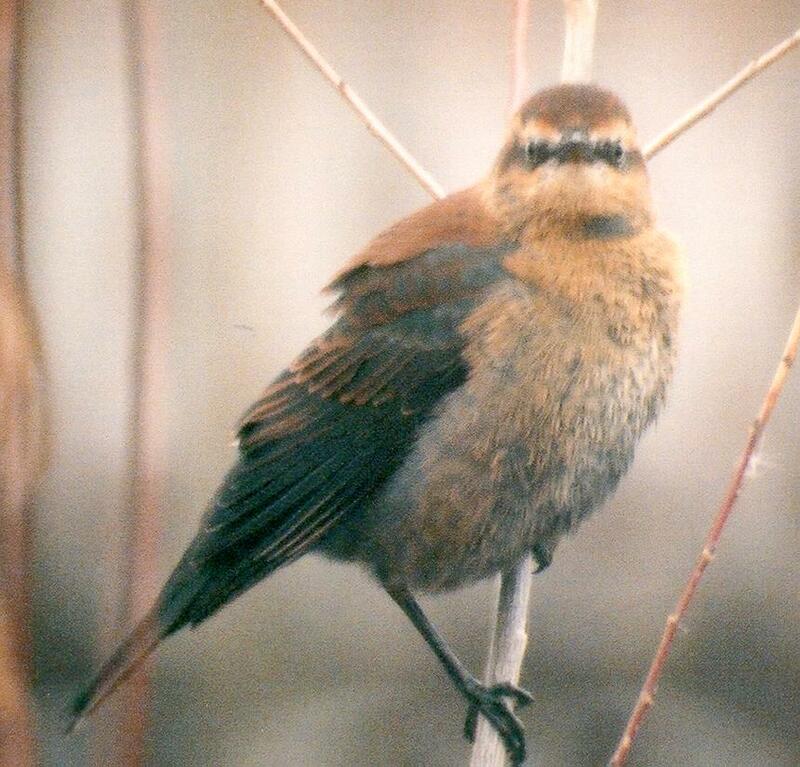 Mountain Bluebird, Bosque del Apache NWR, December 31, 2000. 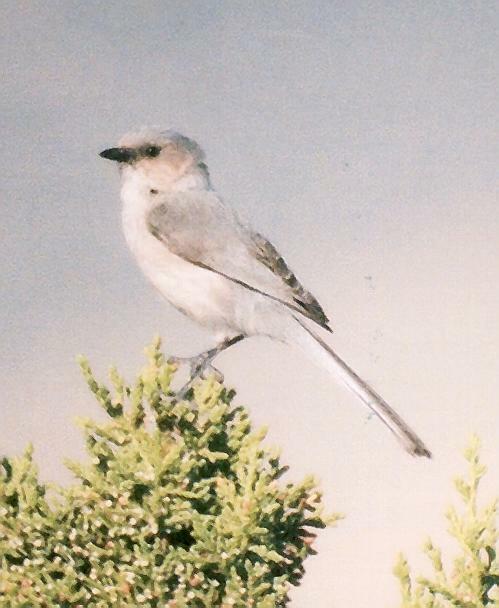 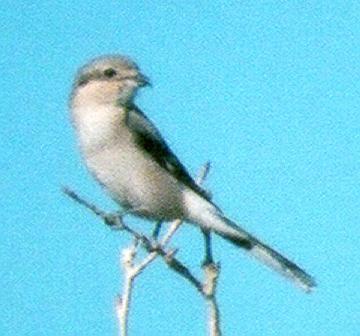 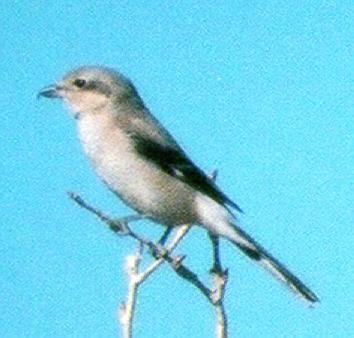 Northern Shrike (immmature), Bosque del Apache NWR, December 17, 2000. 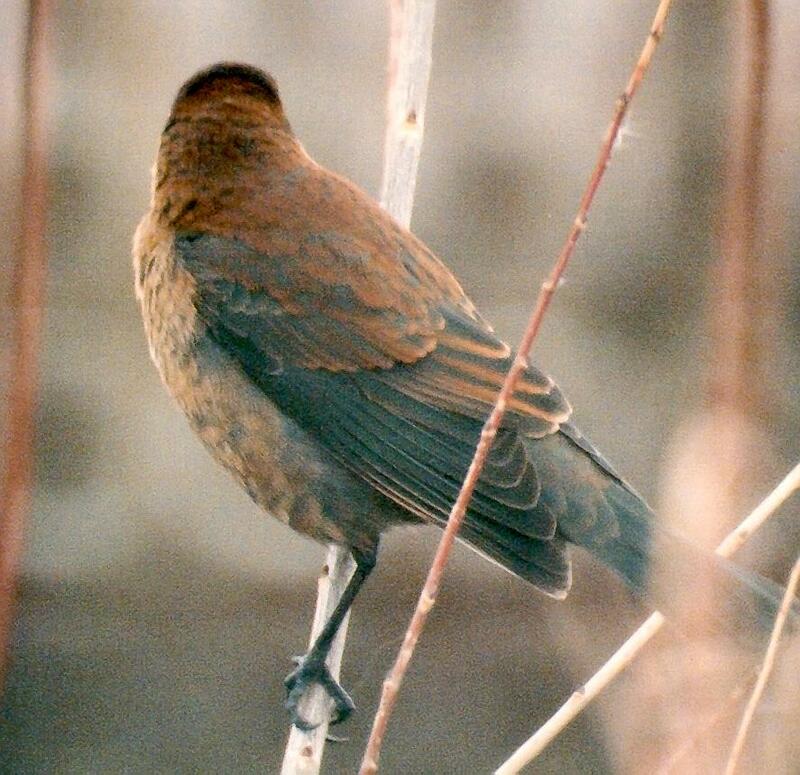 Rusty Blackbirds (2 of them), Bosque del Apache NWR, December 2, 2000. 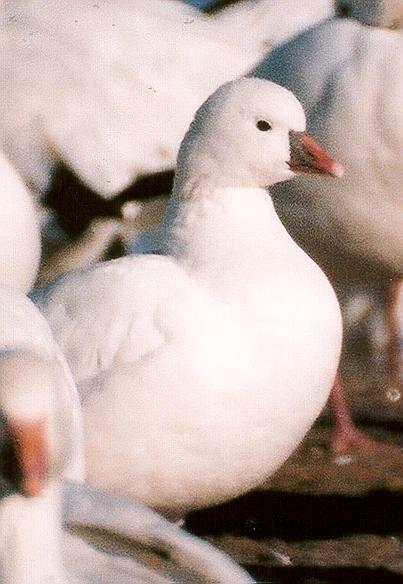 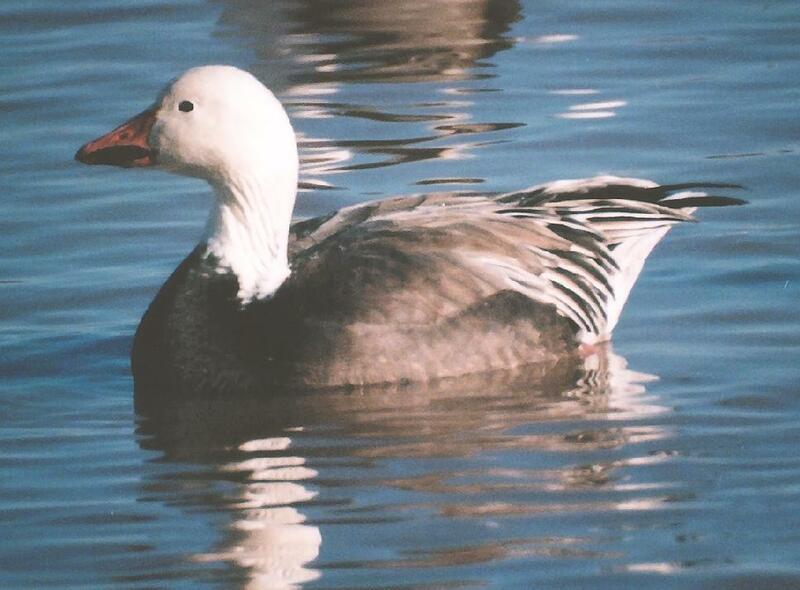 Ross' and (blue) Snow Goose at the Festival of the Cranes, Bosque del Apache NWR, November 17, 2000. 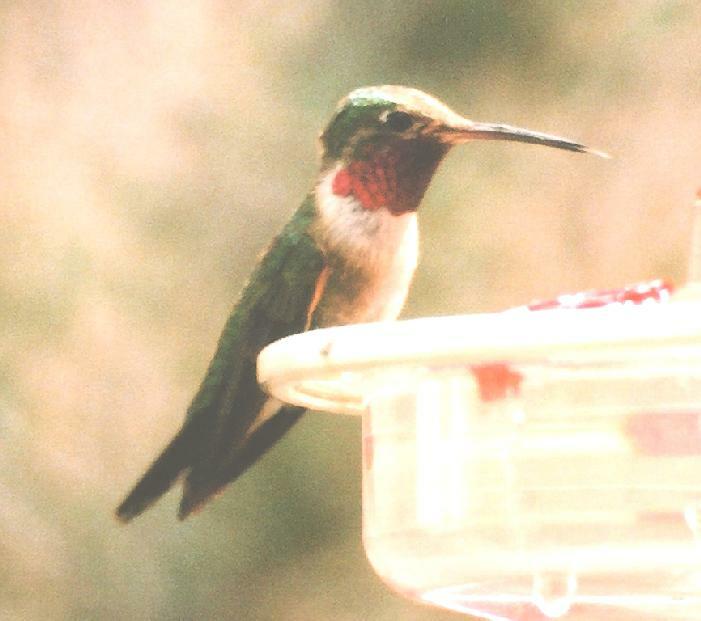 Pinon Jay, Water Canyon Campground, September 4, 2000. 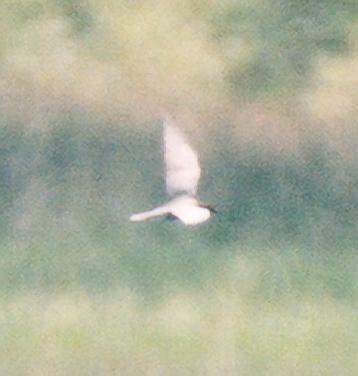 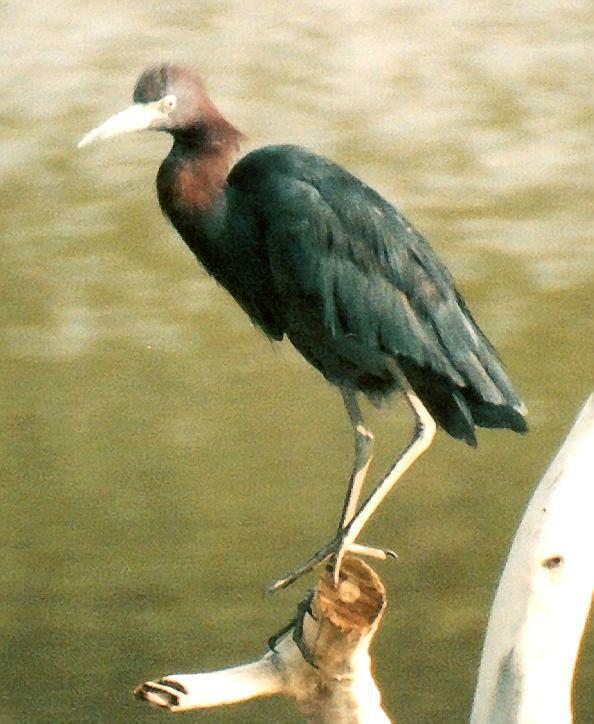 Little Blue Heron, Bosque del Apache NWR, August 6, 2000. 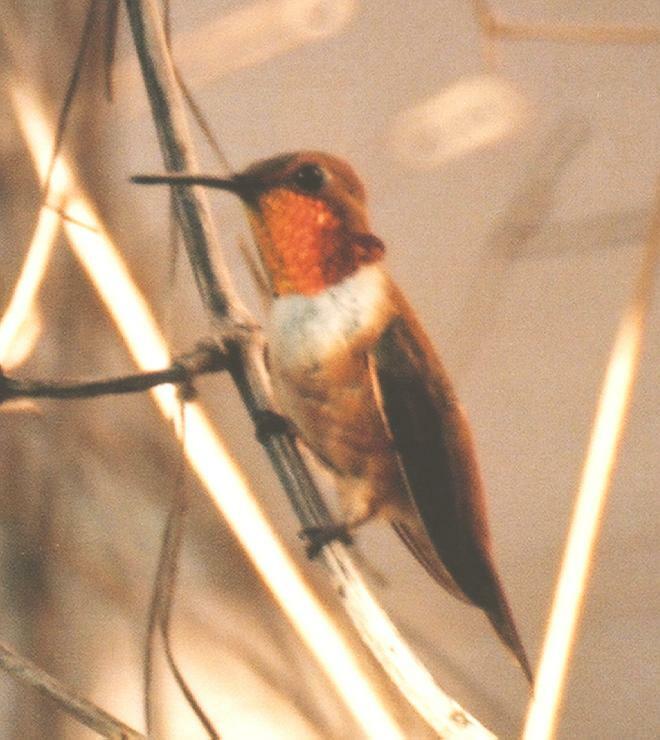 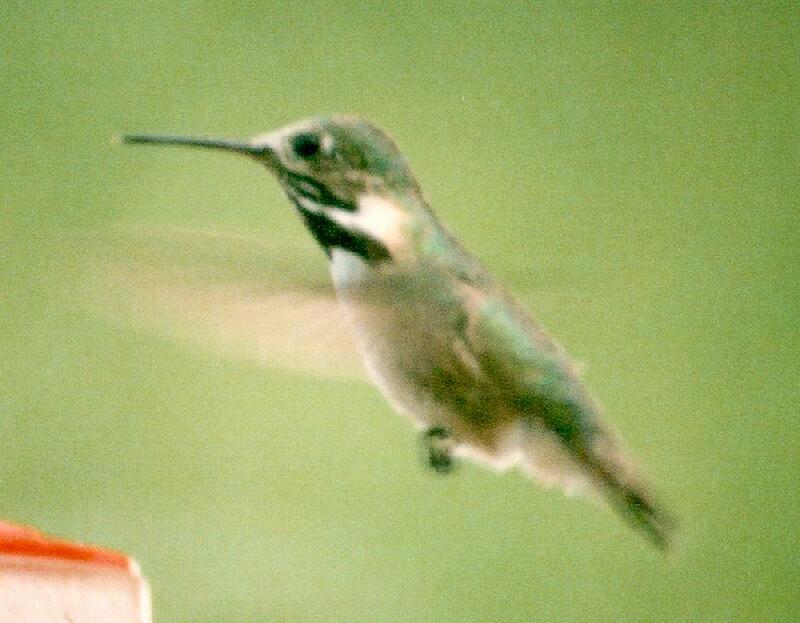 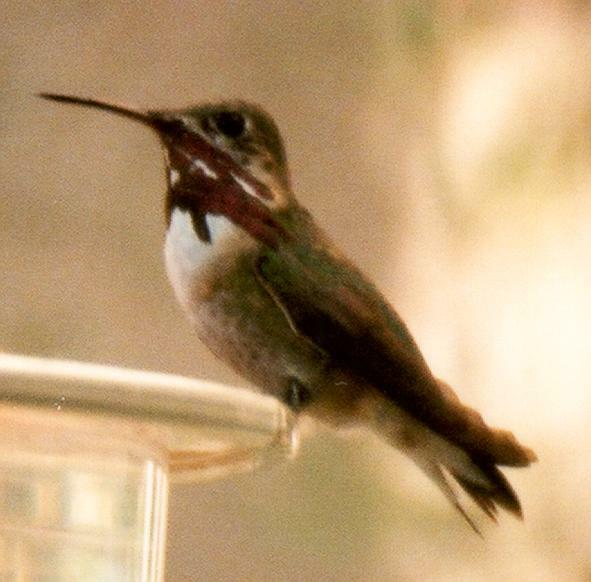 Rufous, Calliope (2), and Broad-tailed Hummingbirds, Bosque del Apache NWR, July 29 and August 6, 2000. 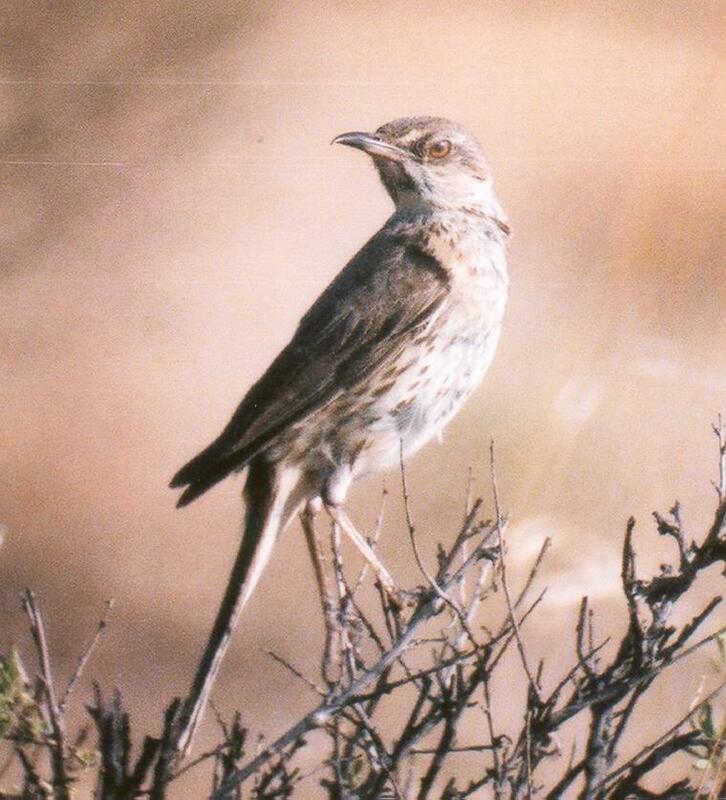 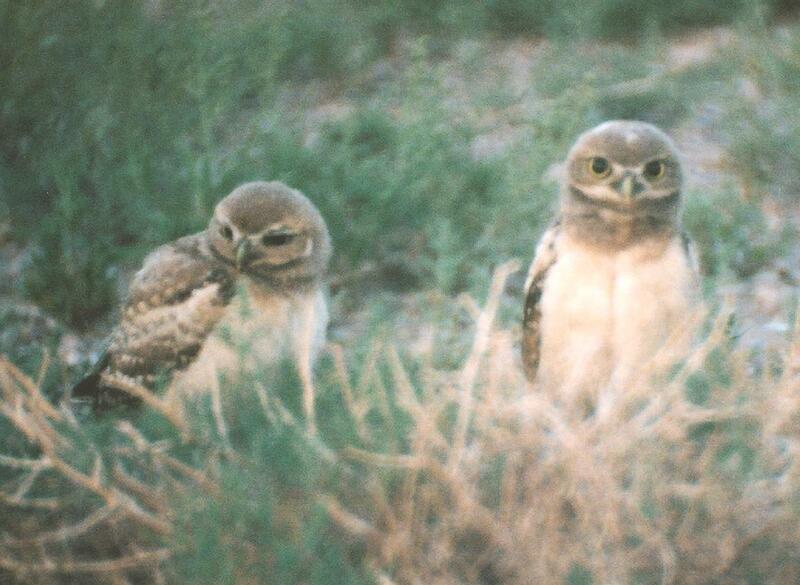 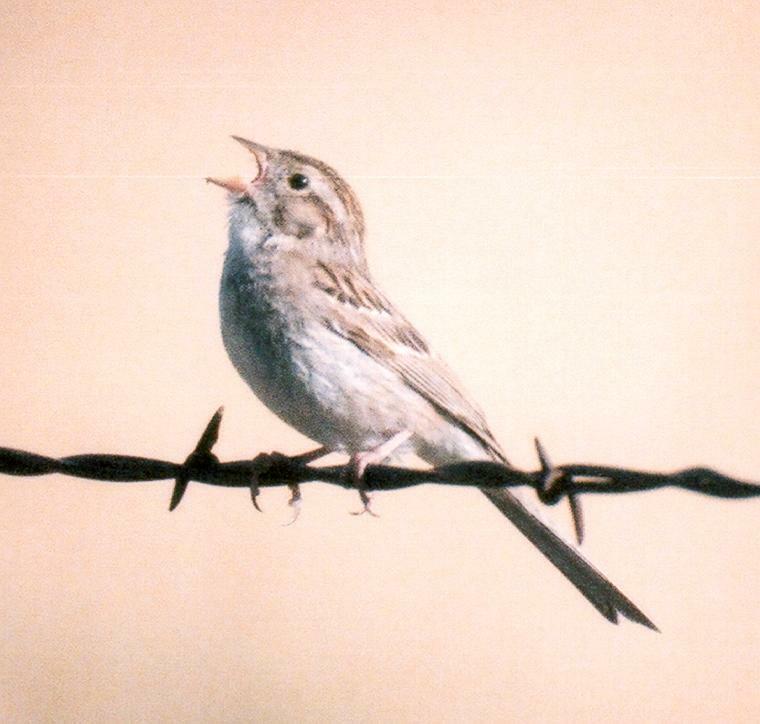 Sage Thrasher and Cassin's Sparrow (right), Very Large Array rest stop, US 60 west of Socorro, July 4, 2000. 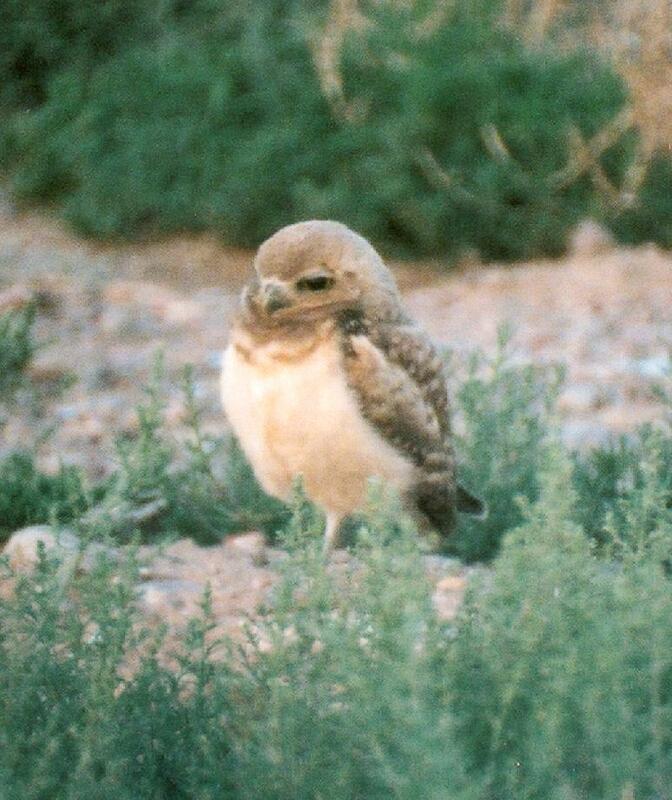 Pinon Jay, US 60 just east of the Very Large Array, July 4, 2000. 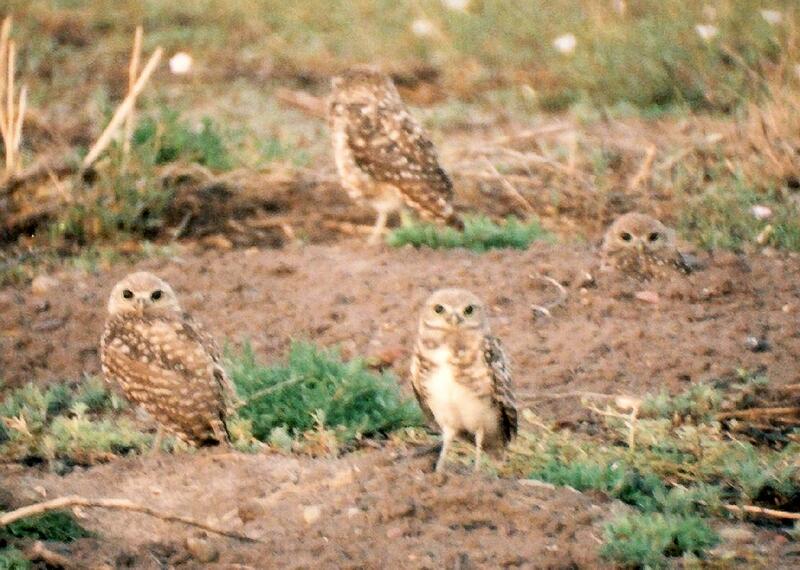 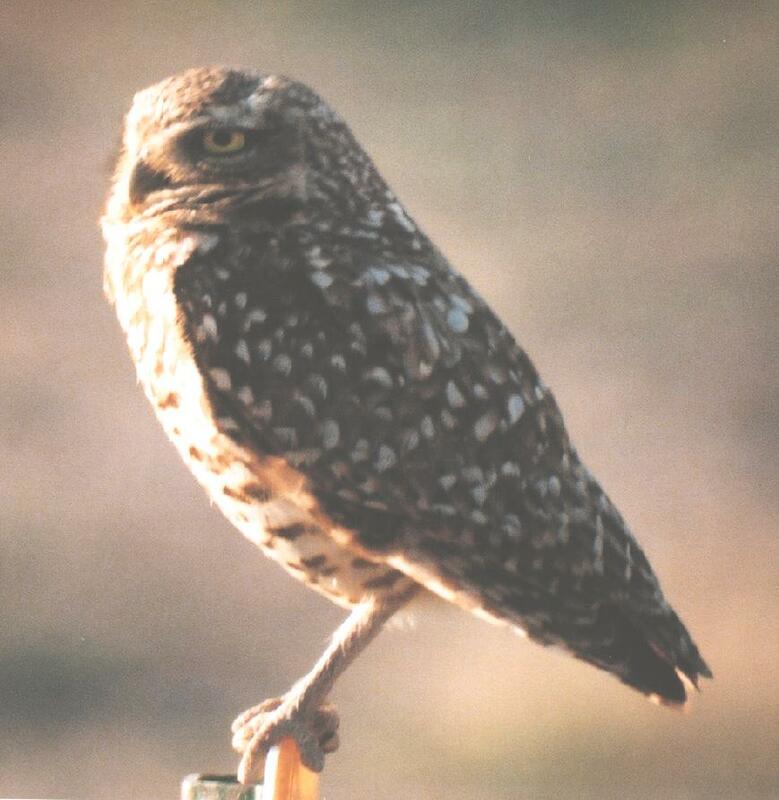 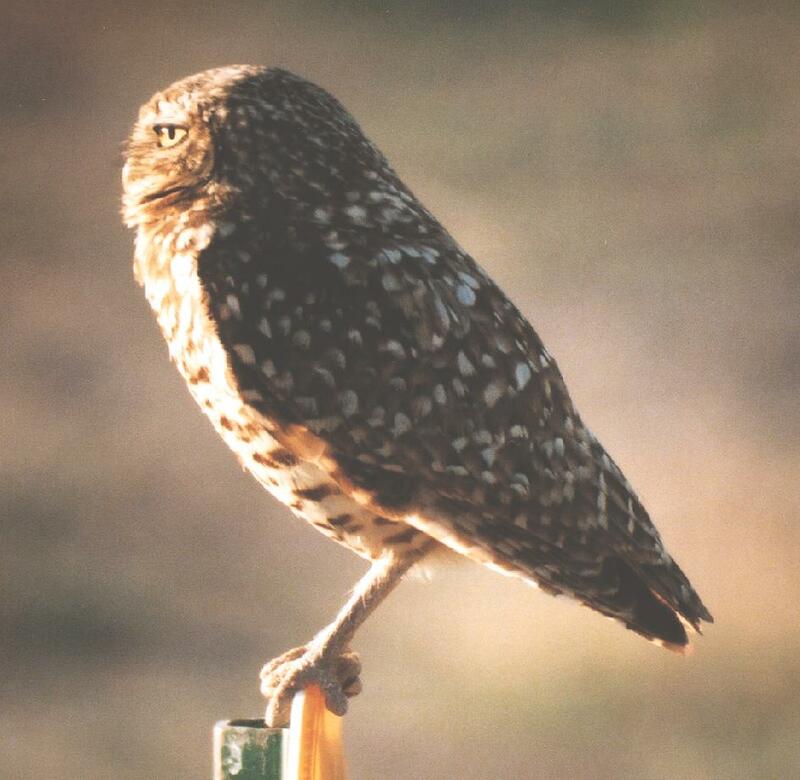 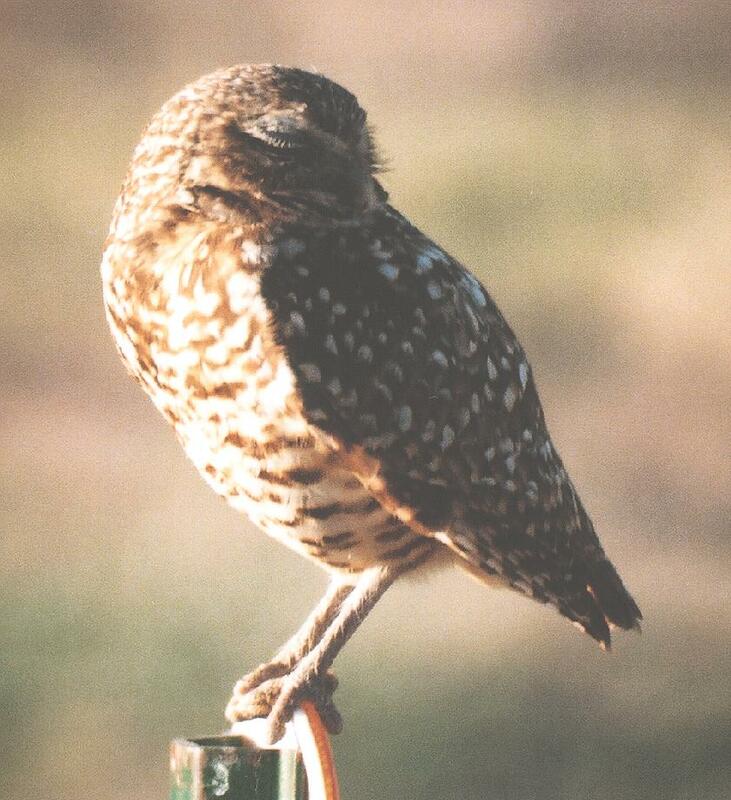 Burrowing Owl, Socorro: Adult with food going into hole May 28, next three adult June 11, young (5 in all) two June 25 and last July 29, 2000. 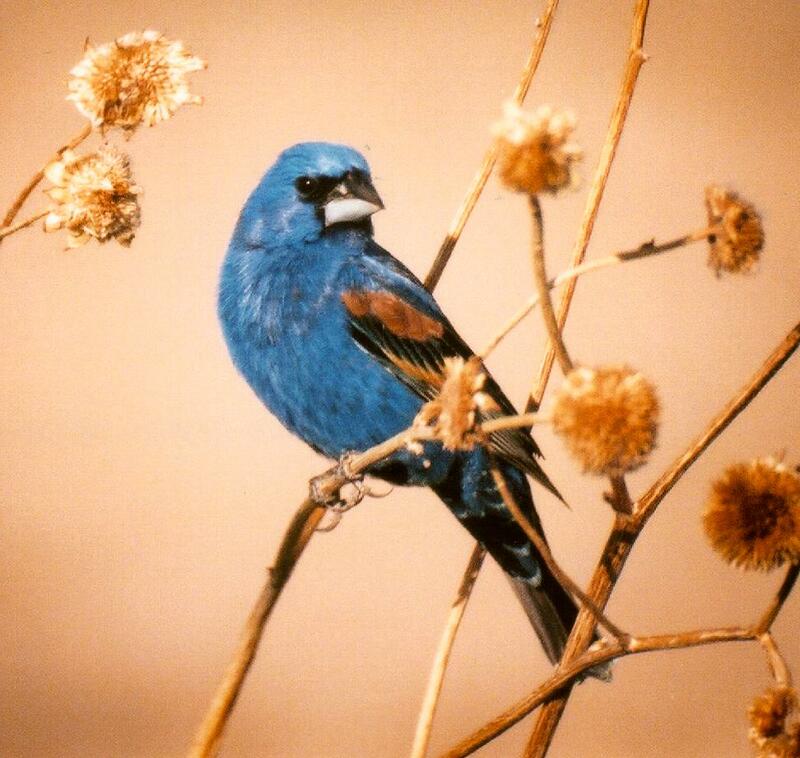 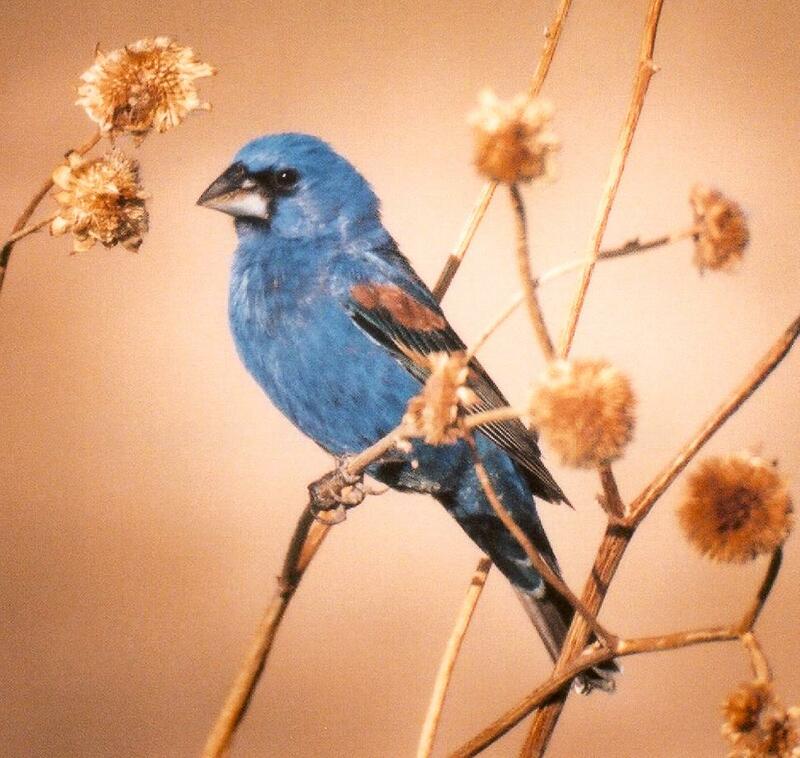 Blue Grosbeak, Bosque del Apache NWR, June 10, 2000. 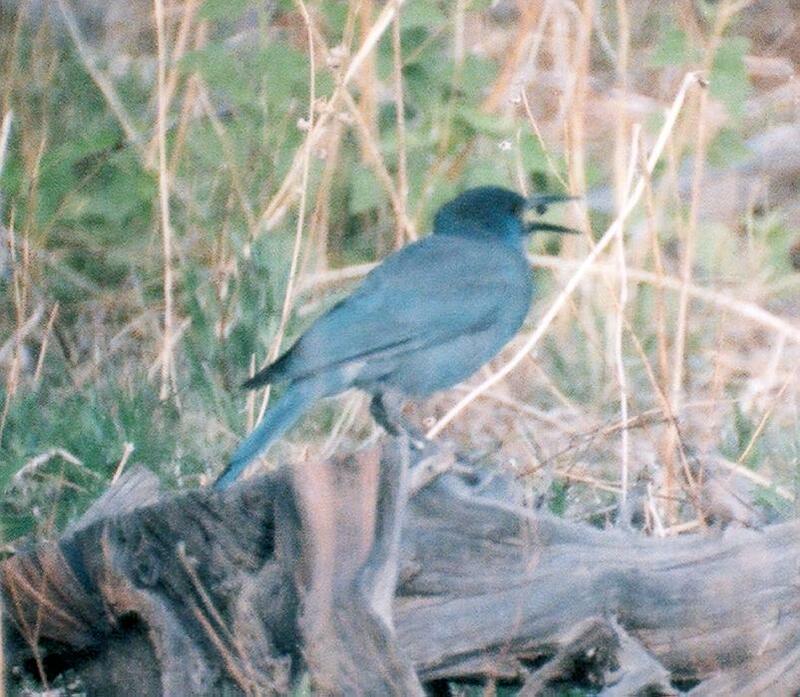 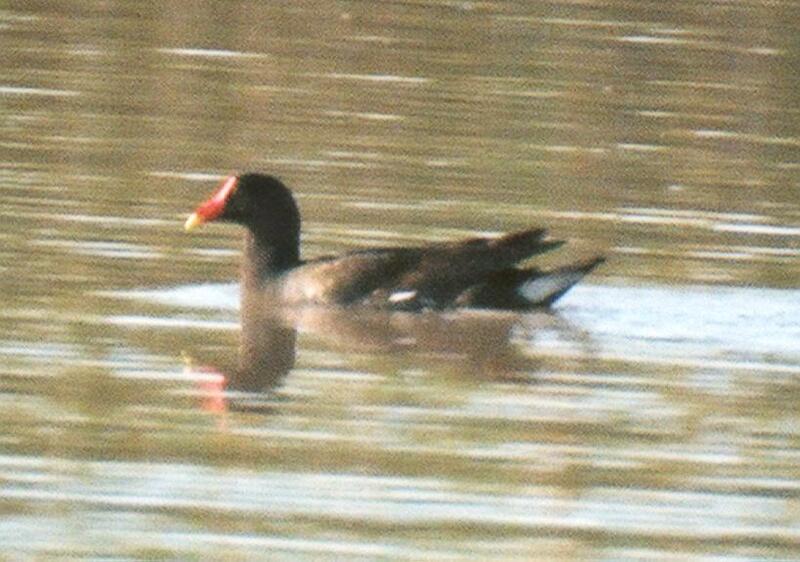 Left: Black Tern, May 28, 2000; Right: Common Moorhen, June 11, 2000 Bosque del Apache NWR. 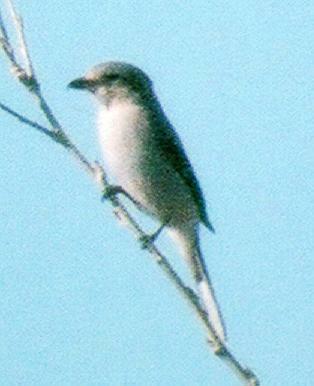 Grey Vireo, The Box, just west of Socorro, May 20, 2000. 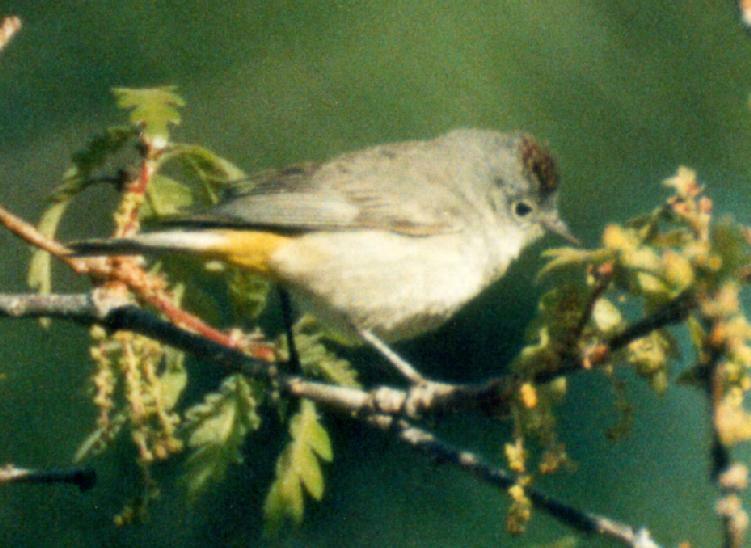 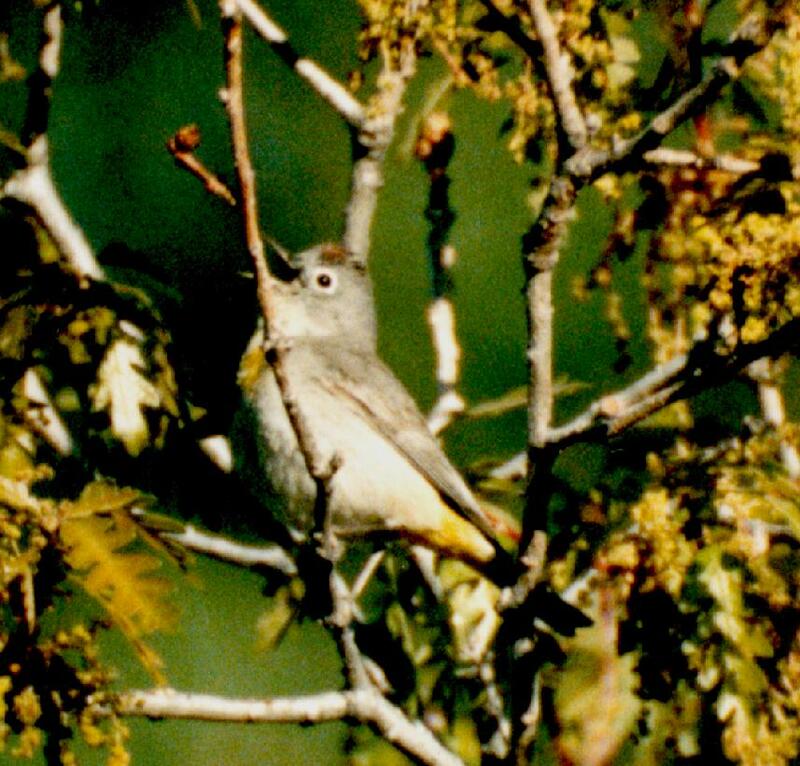 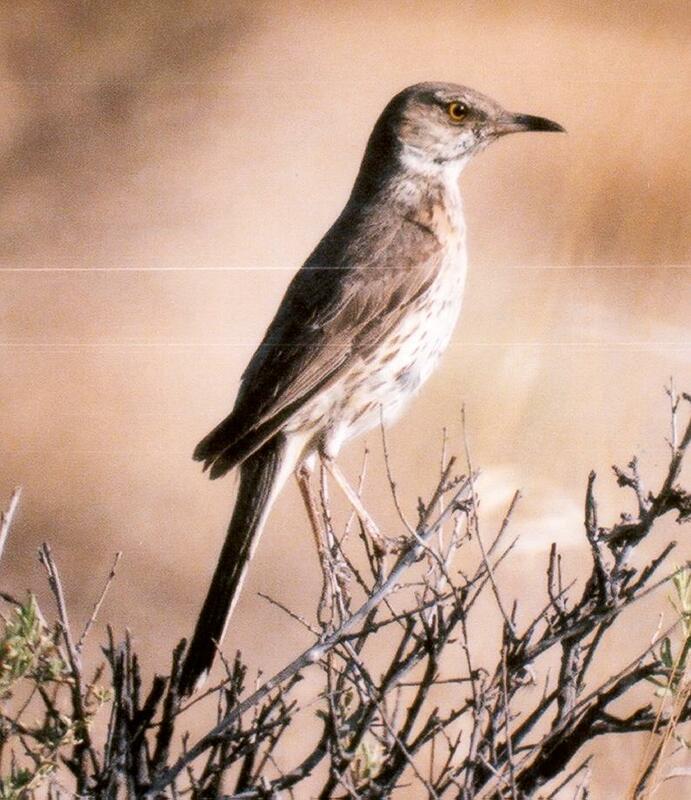 Virginia's Warbler, Water Canyon west of Socorro, April 30, 2000. 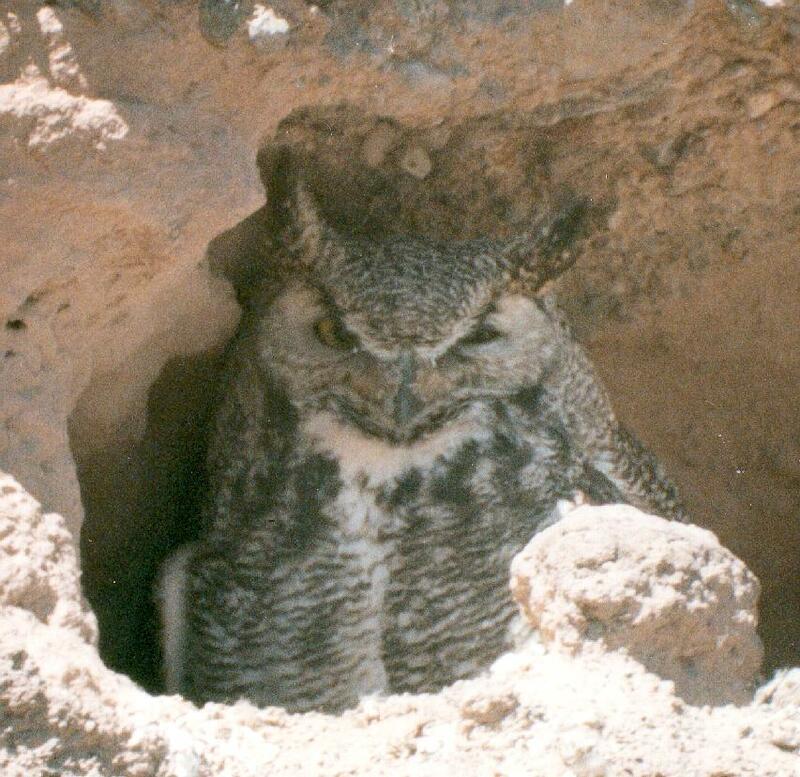 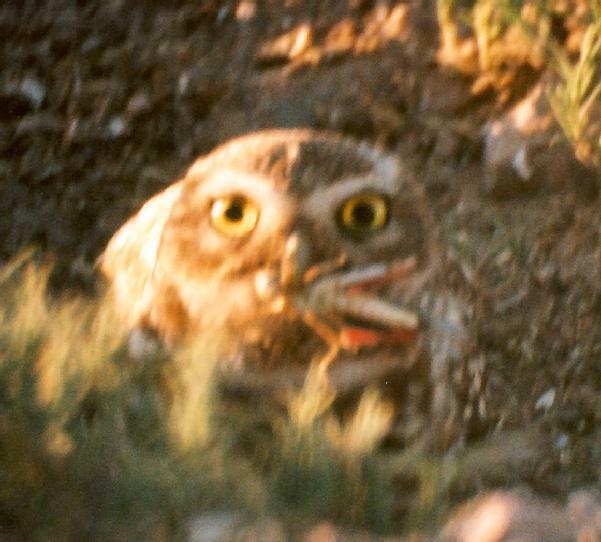 Great horned Owl on nest and Hammonds Flycatcher in migration (way out of habitat), Bosque del Apache NWR, April 15, 2000.